Email marketing - watch out for GDPR! Deadline to comply with the General Data Protection Regulation (GDPR) is almost here. Many businesses haven’t taken any steps or aren't even preparing to become GDPR compliant. Neglect to act accordingly in gearing up for this new data privacy regulation would have an adverse effect on businesses. Organizations that process personal data of EU citizens could face fines of up to 4 percent of their global annual revenue if they are not compliant by the May 25, 2018 deadline. GDPR was designed to harmonize data privacy laws across Europe. To protect and empower all EU citizens data privacy and to reshape the way organizations across the region approach data privacy. Purpose of this directive is to streamline data privacy across Europe and put in place new privacy protections for its citizens. If your business offices are in Europe or if you have subscribers who reside in its states, you need to be GDPR-compliant. As you finalize your GDPR compliance strategy. think not only about how you can be compliant with the regulation. Think on how you can avoid creating extra work for yourself and your team in the process. Marketing is key to adhering to these regulations. Business have to be successful, a marketing technology stack. Content Management System, Email Automation Platform, and Customer Relationship Management. All working together seamlessly. Next, is letting your ‘Email Marketing Automations‘ contribute to unprecedented productivity in complying with GDPR. Saving you in terms of time and resources. GDPR stipulates that businesses need to “implement appropriate technical and organisational measures”. This to “demonstrate that processing is performed in accordance with this Regulation”. Technical measures in the form of automation will help you cover some of the fundamental rights under GDPR. 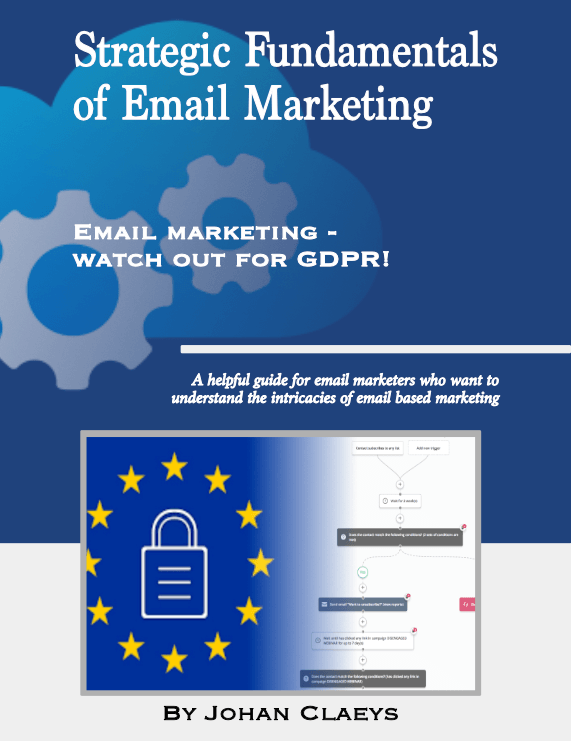 Some are covered in a free eBook, called "Email marketing - watch out for GDPR! " Read how your organisation can boost GDPR compliance and save in terms of time and resources by using email automation. Get this eBook. 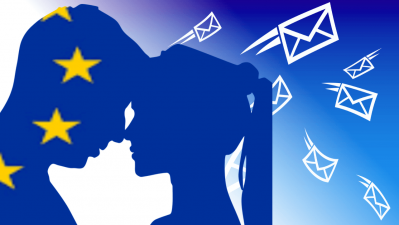 Eight, Email Marketing Automation ideas are covered in detail to help you comply with GDPR! Eight, Email Marketing Automation ideas that help you comply with GDPR! Is marketing automation for BIG companies only? GDPR was designed to harmonize data privacy laws across Europe. To protect and empower all EU citizens data privacy and to reshape the way organizations across the region approach data privacy. Purpose of this directive is to streamline data privacy across Europe and put in place new privacy protections for its citizens. If your business offices are in Europe or if you have subscribers who reside in its states, you need to be GDPR-compliant. I am a fluent multilingual Digital Automation Specialist, focused on listening to needs in terms of digital marketing. Interfacing with clients to help them with their online marketing, working with the client to nurture their customers via robust systems for collecting and managing emails. Via carefully thought-out Lists, Tagging and Automations helping to turn a jumble of emails into a valuable Contact Directory where contact is maintained without spamming.